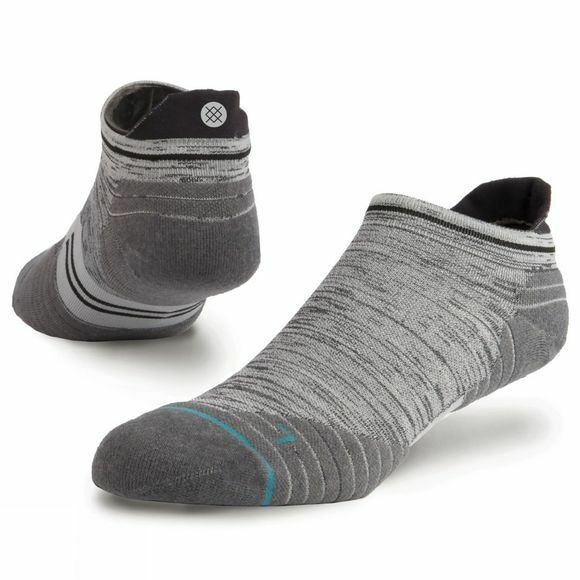 These are the Stance Uncommon Solid Tab socks. Part of the Fusion Run collection, these socks look as good as they perform. Moisture-wicking fibers keep things cool while offering a plush ride and exceptional durability. And better to cradle the contours of your feet, Stance's socks feature anatomically correct footbeds with designs specific to both men and women. Stance have turned socks into one of the world's most exciting accessories in less than five years. Their founders saw a category that had been ignored, taken for granted, looked over, and dismissed. By creating life into something that had been overlooked, Stance ignited a movement of art and self-expression that has drawn athletes, performers, and iconic cultural influencers to the brand--a group we call the Punks & Poets. By underpinning their creative roots with a relentless focus on technical innovation, they've ensured that Stance socks are now found in over 40 countries on the feet of those who dare to be different.